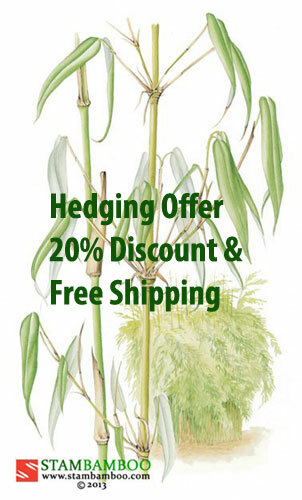 This extraordinary plant is essential for anyone building up a collection of rare and interesting bamboos. 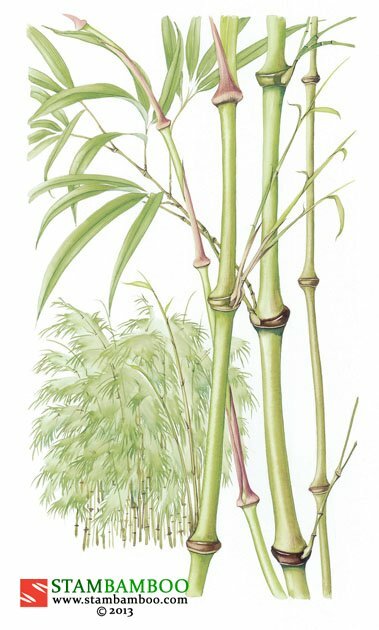 The culm-nodes are strangely swollen so that the length of each gently curving cane is punctuated with exaggerated, angular protrusions. 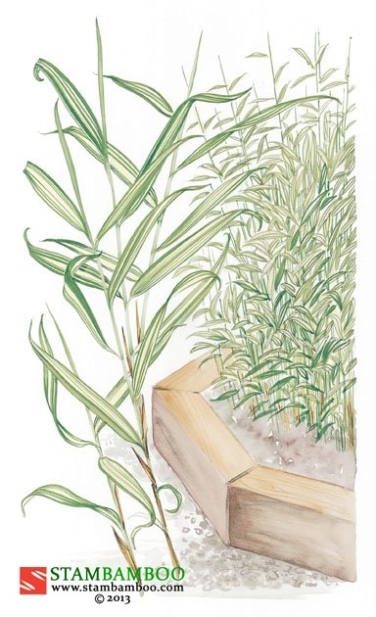 Add to this the heavy masses of fine, narrow foliage (light-green in sun and darker in shade) and you have a wonderfully architectural plant. 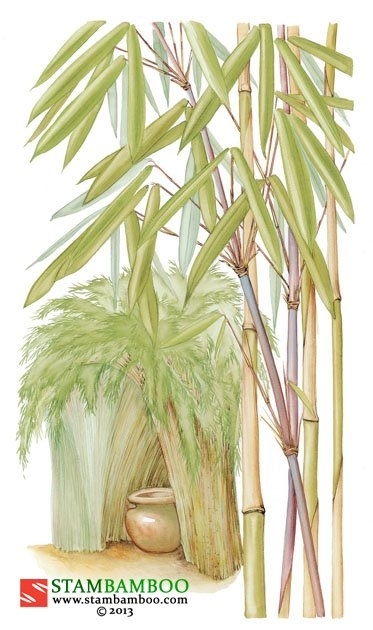 In its native China the Tumid Node Bamboo is prized for the making of walking sticks, pipes and other craft objects. 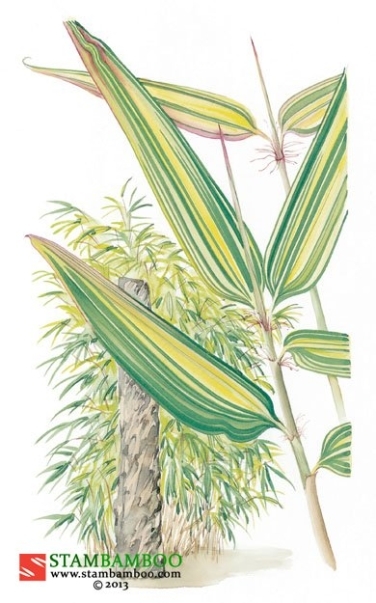 The extremely vigorous runners may travel quite a distance from the parent plant, so we recommend that this fantastically unusual specimen is grown within a rhizome barrier, preferably in light shade.